Aria will purr a joyful one if she can find a forever home. The melody will be accompanied by a heart murmur that will not affect her longevity—she’s only 2 and has plenty more years of play left. And that heart of hers is filled with affection. 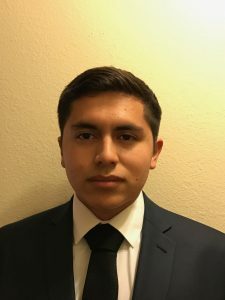 Do you have a heart to match? 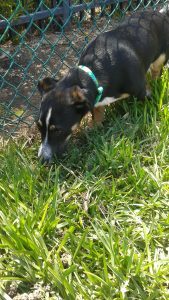 Meet Aria at the Companion Animal Village at 7700 East Spring St., (562) 570-PETS. 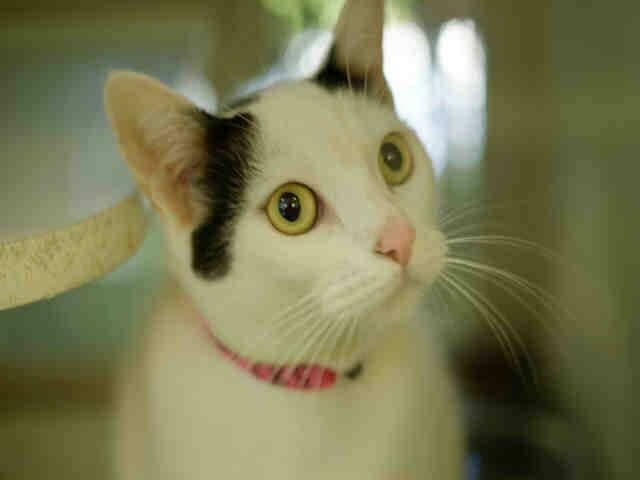 Ask for ID#A582092. 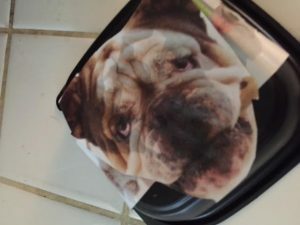 DIY On-The-Go Dog Treat Container! Easy to make if you have a Chick-fil-A Soup Bowl! 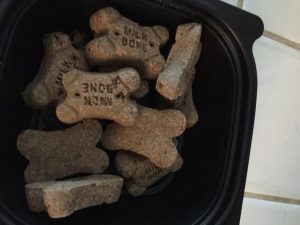 Looking for an easy way to take your pup some treats when you travel? Maybe you don’t want to take the whole box especially if you are only going to be away for the day! Have you tried the delicious Chicken Tortilla Soup at Chick-fil-A? It honestly is a favorite of mine! It’s the perfect on the go meal this Winter. And, the soup container is completely reusable! No need to throw them away when you can upcycle them instead! I simply ate the delicious soup and then washed the bowl and lid completely. 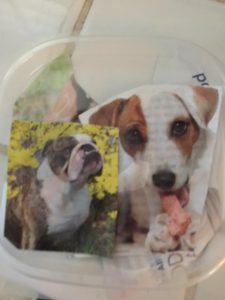 Then I simply cut out some happy dog pictures out of a dog magazine and glued them on the container and the lid. Super easy to make! My pups favorite thing about it is that there are treats inside! So, what are you waiting for? Isn’t it time to go to Chick-fil-A for soup? Self Disclosure: I participated in a DIY Up-cycling Challenge and am part of the Chick-fil-A Mom Panel. 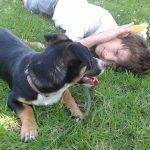 Have Fun with Your Pup this Spring! Dogs are meant to live big, joyous lives—full of little moments that count every single day. From chasing after birds around the backyard, to jumping on your lap when you come home from a long day at work, in a dog’s life, it’s the small moments that count. 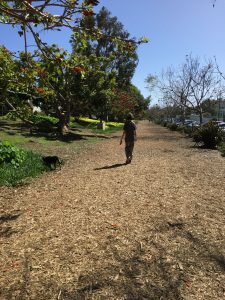 Just as they bring happiness into our lives, we as dog parents should make it a priority to help our four-legged friends live big, vibrant lives—and I make daily choices to support that philosophy. That’s why I chose to try Nature’s Recipe, which is made from nature’s best ingredients, to help my dog live a natural, healthy life. The flowers are blooming, the sun is shining, and the weather is gorgeous. 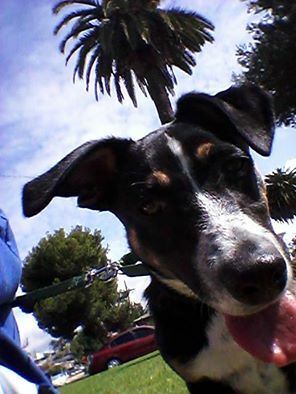 Take advantage by taking your dog out on a stroll snapping a photo of him enjoying nature. We love to find new places to walk our pup! We love to take photos of him! A quick weekend trip in the great outdoors truly makes my dog happy. It lets him visit a new place and explore the scents that fill the air during this time of year. It also lets me enjoy some time out of the house and admire all the beauty spring has to offer. Whether it’s a quick day trip, or a longer one that lasts several days, your dog will be thrilled to be outside exploring nature. 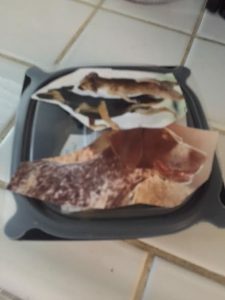 Since I decided to give Nature’s Recipe a try, it has become my dog’s favorite way of starting the day and refueling after an adventure. Nature’s Recipe is nutritious, affordable, and easy to find at Walmart, Kroger, and Meijer. Check out the website to see which of your local retailers carries Nature’s recipe [www.naturesrecipe.com/where-buy], and see how it helps you and your dog make every moment count. I’d love to hear how you plan on taking full advantage of spring with your pup. Leave a comment below, or share a photo with me via Instagram (feel free to use the #naturesrecipe hashtag)! Self Disclosure: No compensation was received. I teamed up with Nature’s Recipe to facilitate this post. I received Products to feature. The Poseidon Children’s Sonic Toothbrush is a Must-Buy! Looking for a Toothbrush that your child will love? 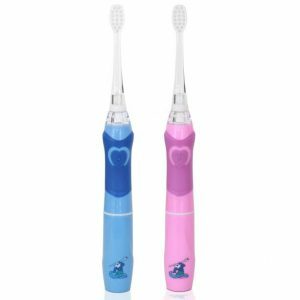 I know that brushing teeth is not a favorite with most children but this Children’s LED Color Changing Toothbrush by Poseidon will make brushing much easier! It is available in Pink or Blue. Children may not love to brush their teeth but this will make it less of a battle! I like that is is simple to use and I think that children will love that it lights up! 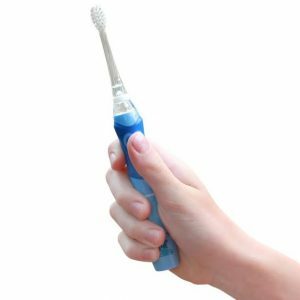 Other features include: High quality DuPont bristles and 16,000 pulses per minute will help keep your child’s teeth clean and healthy. It runs on one AAA battery that’s included with your purchase. The Thai Community Development Center (Thai CDC) is celebrating the Grand Opening of the second day of its East Hollywood Certified Farmers’ Market. The Market has been bringing fresh produce to the community on Thursday evenings since 2012. Thanks to a grant from the U.S. Department of Agriculture’s Farmers’ Market Promotion Program (FMPP), the Thai CDC is now able to offer another farmers’ market day on Saturdays for the next three years, starting Saturday, March 4, 2017. The ceremony will open with a procession lead by Wat Thai’s musicians ensemble playing the traditional long drum. They will be accompanied by Thai dancers and a special appearance by Bpi Mai, the mascot for the EHCFM. Speakers at the ceremony include Councilman Mitch O’Farrell, Royal Thai Consulate General Tanee Sangrat, and Thai CDC Executive Director, Chancee Martorell. The family-friendly fun will continue with a cooking demonstration by world-renowned Thai restaurant, Jitlada with food sampling for the crowds. Music will be provided by Asian hip-hop artist, Jason Chu and singer-songwriter, Rich Sheldon. Kids will enjoy balloon art with The Inflators and face painting with Rainbow Painted Smiles. The market’s famous “Smoothie Bike” will allow guests to pick their own fresh Farmers’ Market ingredients and combine into a smoothie by pedaling a specially-equipped stationary bicycle. Thai Community Development Center was founded in April 1994 on the idea that all peoples have a basic right to a decent standard of living and quality of life. Its mission is “to advance the social and economic well-being of low and moderate income Thais and other ethnic communities in the greater Los Angeles area through a broad-based comprehensive community development strategy including human rights advocacy, affordable housing, access to healthcare, promotion of small businesses, neighborhood empowerment, and social enterprises.” For more info, visit www.thaicdc.org. Credit: Thai Community Development Center. Farmer’s Pantry Cornbread Crisps: These crispy delights are like no other on the market: made from one of the oldest and most popular American food staples – freshly-baked cornbread. Farmer’s Pantry Cornbread crisps are the first of its kind, delicately sliced and toasted to crispy perfection, and created from the wholesome goodness of cornbread you can munch on the go. Farmer’s Pantry Cornbread Crisps, available in Original, Jalapeno and Honey-Butter flavors, are a crispy, savory snack that tastes as mouth-wateringly delicious as the first bite of a slice of corn bread or corn muffin. Made from fresh corn and other whole grains grown on American farms, these crisps are sure to appeal to discriminating snackers across the country. Farmer’s Pantry Cornbread Crisps are approximately $3.99 for 6 oz bags, and under $2.00 for 2 oz bags. The unique Farmer’s Pantry cooking process is all about preserving nutrients and flavor. The recipes start with ingredients sourced from family farms across America. The snacks are seasoned, with a slow-roast for the meat and vegetables; then, they are gently blended over low heat. Finally, before all the goodness has a chance to escape, they immediately seal it in the dual-pouch package until you tear it open and enjoy. Inspired by some of America’s favorite recipes, Meal Snacks contain real meat and veggies in every single pack. Farmer’s Pantry Meal Snacks have a suggested retail price of $5.99, in a 2.5 oz bags. Farmer’s Pantry passion to feed your hunger is for everyone, including the millions of American farmers who are being threatened with extinction. According to the U.S. Department of Agriculture, the number of farms in the United States has fallen from about 6.8 million in 1935 to only about 2 million today. Besides keeping American Farms busy and profitable, a portion of all Farmer’s Pantry sales is used to give back to keeping American farms healthy, by donating to organizations including Farm Aid, Farmland Trust, Family Farm Charities, Veterans Farm and National Young Farmers. I had the opportunity to try these snacks for myself and I love them! My favorite are the Farmer’s Pantry Cornbread Crisps in the Honey Butter flavor! I love to eat them with Chili!